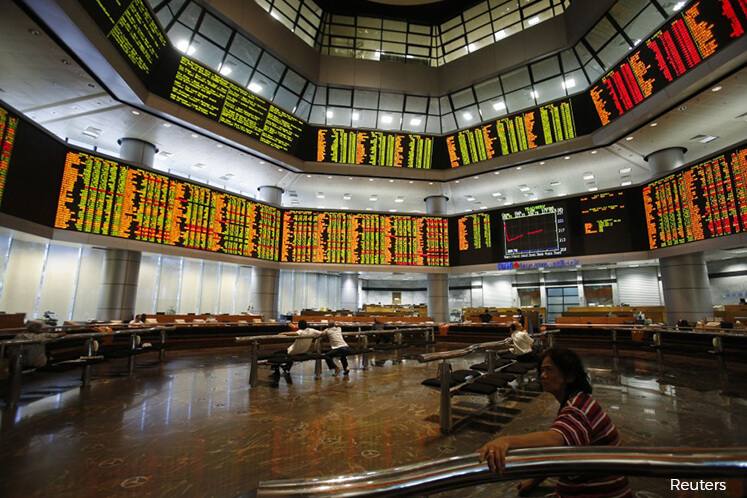 KUALA LUMPUR (July 3): AmInvesment Bank Bhd Research (AmBank Research) has maintained its end-2017 target for the FBM KLCI at 1,745 points and said it believes the local equity market is steering into calmer waters in 2H2017, with several key external risks having substantially abated during the course of 1H2017, particularly, the concerns on US President Donald Trump’s rhetoric, general elections in Europe and a steeper-than-expected rate hike cycle in the US. In a strategy note today, AmBank Research head Anthony Dass said as such, he believes investors will start paying more attention to the cyclical upturn in corporate earnings. “A supposedly nail-biting event, the MSCI Emerging Market index rebalancing exercise in May 2017 came and went without inflicting any visible damage to the local stock market. “Apart from the relatively insignificant cut in Malaysia's weighting this time around, we believe the local stock market was also helped by the low base effect. “We remain positive on the equity market outlook in Malaysia, although we do expect volatility over the immediate term, as the market has moved a little further ahead of its earnings,” he said. Dass maintained his end-2017 FBM KLCI target of 1,745 points and end-2018 FBM KLCI target of 1,900 points, based on 17.5x 2017F and 2018F earnings respectively, at a 1x multiple premium to the 5-year historical average of about 16.5x. “Backed by a cyclical upturn in corporate earnings, we believe cyclical sectors will start to outperform the broader market, i.e. financial services, property and consumer discretionary. “We also like certain large-cap names, with strong earnings resilience in the construction and power space. “Small- and mid-cap stocks could be in the limelight, thanks to the government's mandate to GLC funds in Budget 2017 to allocate up to RM3 billion to invest in this space. Dass said AmBank Research’s top Buys are Tenaga Nasional Bhd, Public Bank Bhd, RHB Bank Bhd, Gamuda Bhd, Malaysian Resources Corporation Bhd, Sunway Bhd, Bermaz Auto Bhd, V.S. Industry Bhd, OldTown Bhd and Sasbadi Holdings Bhd.